Dr. Baker received his Bachelor’s degree with honors in Psychology from Bradley University in 1983 and his Master’s degree in Community/Clinical Psychology in 1986, also from Bradley. He received his Doctorate (Ph.D.) in Clinical Psychology from the Illinois Institute of Technology in Chicago in 1992. During his doctoral training in clinical psychology, Dr. Baker specialized in the treatment of medical and health-related issues. He was a research assistant at: Children’s Memorial Hospital in Chicago, The Rehabilitation Institute of Chicago, and Northwestern University Medical School Department of Psychiatry. Following completion of his doctoral coursework, he completed his Doctoral training at the University of Chicago Medical Center's Department of Psychiatry. Dr. Baker is a Member of the American Psychological Association and a member of the divisions of: Clinical Psychology, Health Psychology, and Psychotherapy. He has given presentations at conferences including: The American Psychological Association, the Society of Behavior Medicine, and the Association for the Advancement of Behavior Therapy. Click here for a selected bibliography of Dr. Baker's published research on weight control. Obesity/Weight Management, Eating Disorders, Fibromyalgia, Pain Management, and Chronic Illness. Depression, Anxiety, Stress Management, Marital/Relationship Issues, Men's Issues, Trauma, Sexual Issues, and GLBT Issues. • In addition to his training in counseling and research, Dr. Baker has specialized training in Hypnosis, Eye Movement Desensitization and Reprocessing (EMDR) and Psychological Testing. •Teacher: Dr. Baker has been an adjunct faculty member in the Psychology Department at Bradley University since 1992. He has taught courses which include: Health Psychology, a seminar on Understanding Eating Disorders and Obesity, Abnormal Psychology and Human Sexuality. 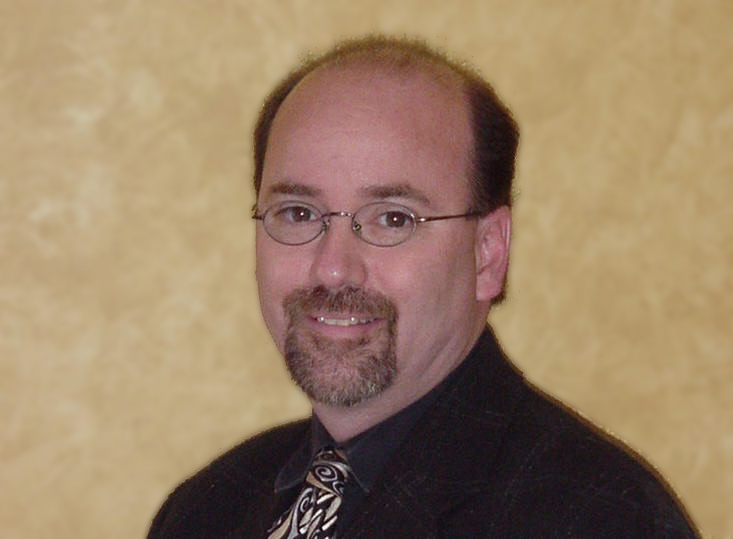 •Supervisor: Dr. Baker has supervised Master's Level Clinicians (LCPC's, LCSW's) for 15 years. He is available to supervise Master's Level Clinicians needing to meet supervision requirements for licensure. Dr. Baker also consults with mental health professionals regarding eating disorders, trauma, DID, and other specialized clinical issues. If interested in supervision/consultation, please call for more information. •Leadership Consultant: Dr. Baker has also worked with the Leadership Development Center (LDC) which is part of the Foster College of Business at Bradley University. LDC works with businesses and corporations providing training on leadership and team dynamics. LDC provides feedback to employees based on their answers to a number of psychometric instruments. In that capacity, Dr. Baker has been trained to interpret these instruments and served as a "feedback coach" for four years. Prior to establishing a full-time independent practice, Dr. Baker was clinical director of the "Health By Design" program at OSF - Saint Francis Medical Center from 1992-1999. This program addressed lifestyle issues that contribute to health problems such as: Obesity; Type II Diabetes; Hypercholesterolemia; Hypertension; and Psychological Impediments to Exercise. During this time, Dr. Baker authored and/or co-authored four highly cited peer-reviewed research articles duirng this time. From August 1999 to June 2004, Dr. Baker was the Director for the Center for Wellness and Counseling at Bradley University. During that time he developed the Center for Wellness & Counseling's "CWC Wellness Web" which offered over 150 wellness and health topics as well as confidential and anonymous psychological tests for anxiety, depression, alcohol, post traumatic stress, etc. Dr. Baker is currently accepting new patients. Please call if you are interested in speaking with Dr. Baker to schedule an appointment or to arrange a consultative appointment. Click here for information on how psychotherapy can help. Click here for information on finding the right therapist.